AMMONNEWS - Former Argentina captain Diego Maradona has ended a five-year absence from football to return as coach of Al-Fujairah FC, the United Arab Emirates club announced on Sunday. 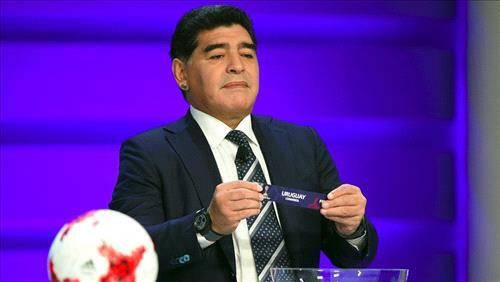 “I want to tell you that I am the new coach of Al-Fujairah SC, in the second division of the United Arab Emirates,” Maradona added on his Facebook page. The club posted a picture of the former Boca Juniors, Napoli and Barcelona striker holding their red and white shirt with his name and No. 10 on the back. It marks a return to management after a five-year gap for the 56-year-old Argentina great, who as a player led his country to a 1986 World Cup title and runners-up spot four years later. Maradona, who took charge of Argentina in 2008 and led them to the World Cup two years later, last managed at another UAE club, Al Wasl in May 2011 but was sacked just over a year later. He was named a FIFA ambassador in February by the world governing body’s president Gianni Infantino. The news of his return to management came on the day that Jorge Cyterszpiler, Maradona’s first agent and friend for many years, died in Buenos Aires after a fall, Argentine news media reported.